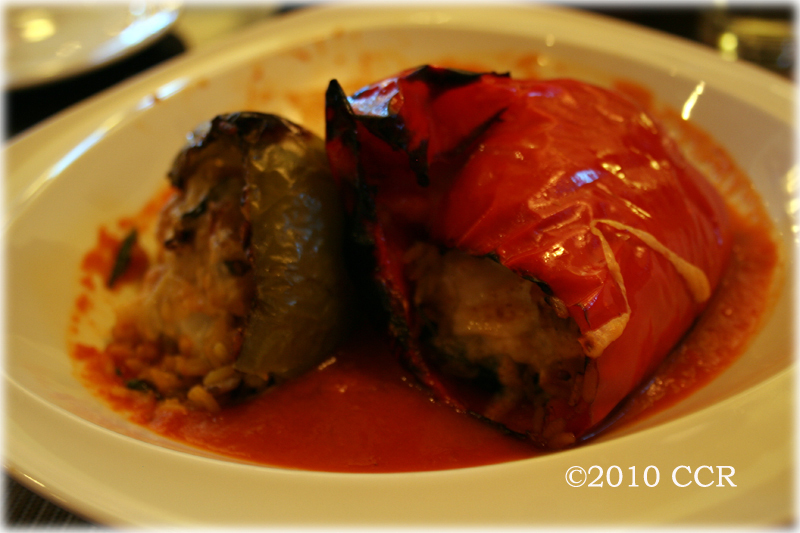 My Dear Wife and I just finished six weeks on the Eat to Live diet on the first day of our trip to Philadelphia, PA. The main reason for the trip was business with the EPA and the Office of Environmental Information Symposium, a five-day event, which I attended as part of the Conference Organizing Team. The day job as a web developer for the EPA at the National Computer Center comes to a halt one week a year to help organize the conference, past years conferences have been held in Cincinnati, Denver, San Antonio, Las Vegas, and Atlanta. While most of the time was spent working the event, My Dear Wife got some much needed rest and relaxation, but we both did get in some sight seeing a day and a half before the conference, and one afternoon between sessions. We had the fortune of staying at the Downtown Marriott Hotel on Market Street, just a stones throw from the Reading Terminal Market, and only about 6 blocks from the historical district. 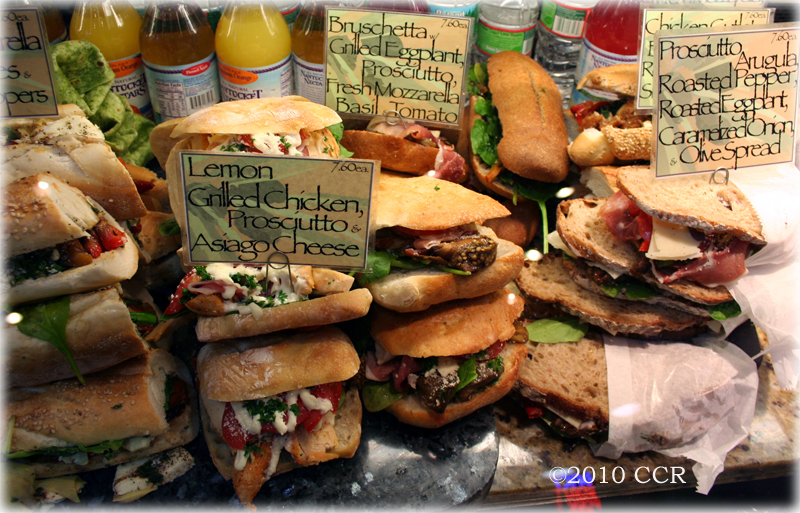 In addition, we had no trouble finding some great places to dine, especially in the market. Our exercise during the trip included walking for about 5 hours through the historical district, and every day we ventured to the market for lunch. 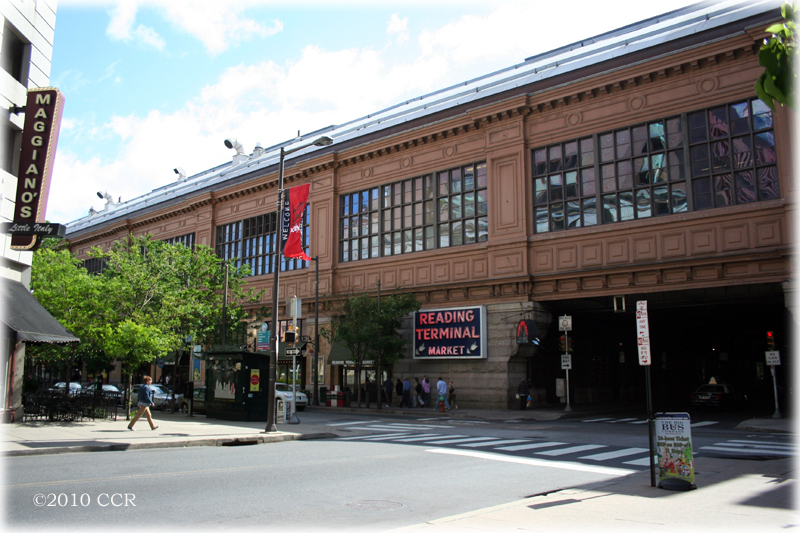 The Reading Terminal Market is a renovated railroad passenger terminal from the heyday of the Reading Railroad, which was converted into a covered market place for various and sundry delis, produce stands, restaurants, diners, meat and seafood markets, dessert and candy shops, steak sandwich shops, cheese shops, and Amish specialties, you get the idea. 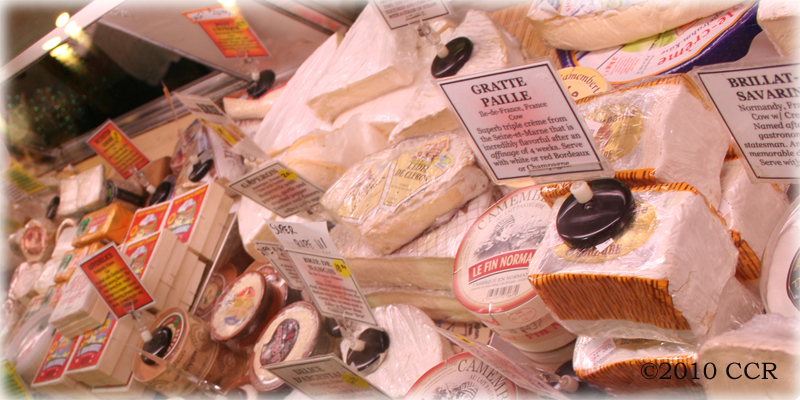 A treasure trove of variety, flavor, tastes, textures, shapes, and styles. We arrived at the hotel Saturday morning, May 8th around 10:15 am and lucked into an early check-in, about 11:30 or so we ventured to the market and walked around for several minutes and in awe of all the sights, sounds, but most importantly the smells. 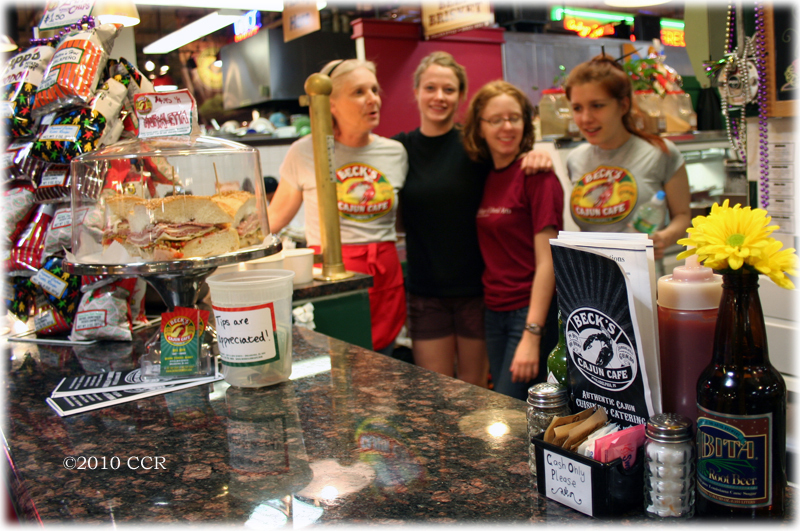 Then we stumbled upon a Cajun café, yes folks, Cajun Chef Ryan found himself a Cajun Café in Philly, Beck’s Cajun Café that is! Moreover, this little place has some of the best Cajun food outside of Louisiana. On our first of four visits to the café, we split a Train Wreck Po-Boy. You might ask, as we did “What the heck is a Train Wreck Po-Boy?” Well, it is one of their house specialties and it consists of andouille sausage, steak, salami, cheese, grilled caramelized onions, and Creole mustard, all grilled and melted together into a six-inch French bread loaf and is Beck’s answer to the Philly Cheese Steak sandwich. My Dear Wife and I split this one, and is the first time we ate any meat since the beginning of Lent and since our six weeks on the ETL diet. The Train Wreck is a must try sandwich for anyone who happens to make it to Philly, this one is worth the trip to Beck’s at the Reading Terminal Market. We finished our first lunch in Philly with an order of Bread Pudding with Whisky Sauce; it was the best bread pudding outside of New Orleans and my kitchen too. 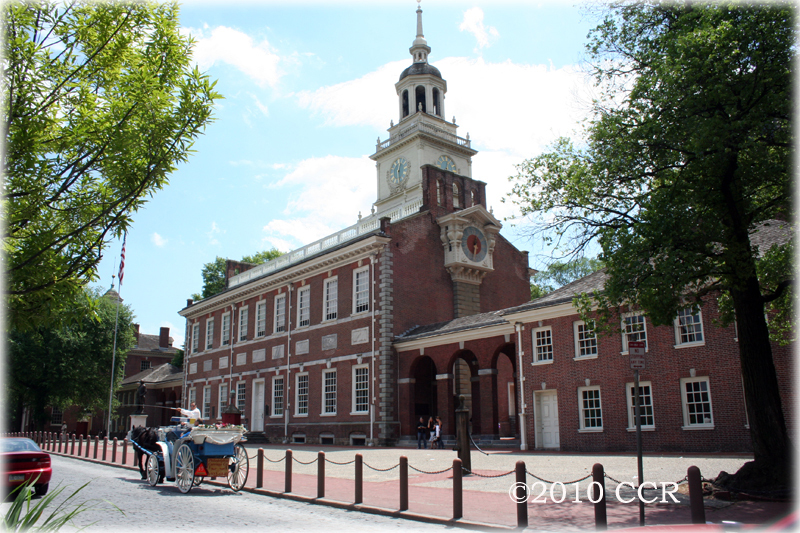 We proceeded on our walk about town and headed East on Market Street until we reached the Independence Hall Museum, picked up our tickets for the free tour of Independence Hall. 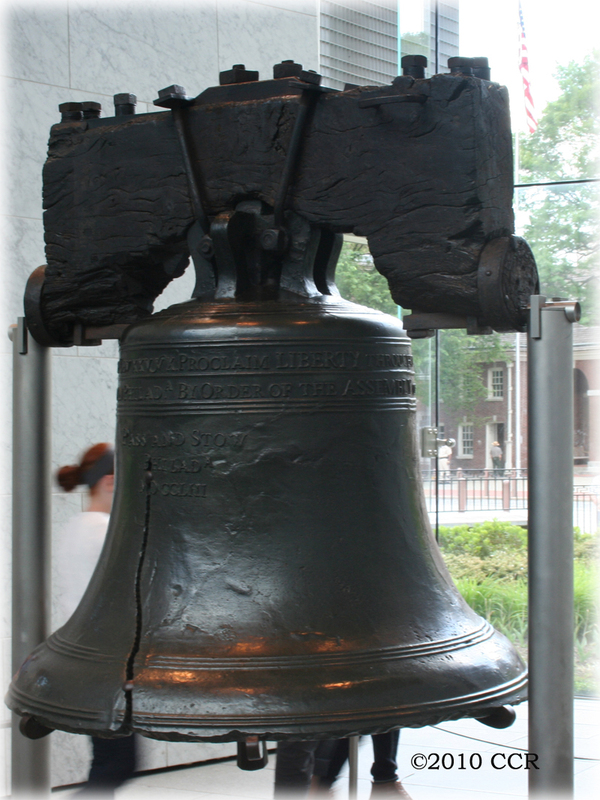 Then we walked to visit the Liberty Bell, and found that quite fascinating, never knew so much about the significance of the bell, especially the importance it placed in the early 1900’s with winning over the public trust during the war time efforts. Interesting too, that the bell traveled to New Orleans during the World Industrial and Cotton Exposition in 1894, at what is now known as Audubon Park. Then on to our visit of the first City Hall of Philadelphia, Independence Hall, and the original Congress and House of Representatives. Fascinating history indeed, Philadelphia is chock full of the birthplace of our nation, and a must see for everyone. Then we headed to Benjamin Franklin’s House, but we first got miss-directed to The Benjamin Franklin House, which turned out to be this lavish apartment building. So four or five blocks back east and we finally found the right “house”. Another interesting historical point of interest turns out Franklin’s grandchildren decided to tear down the original house and put in a street and then build some apartment complexes, years later and after several diggings, the house foundation has been preserved for underground viewing. The basement floor seems to rest about ten feet below the current street level. The museum is interesting too, showing many of the inventions that Franklin created over the years. Franklin was an extraordinary fellow! After we walked back to the hotel, and about five hours later, we rested in the room a bit and decided to try out the hotel’s only restaurant, Thirteen. The restaurant aptly named since Philly was the geographical center of the thirteen original colonies, and being a lucky number in that respect, but I did notice there was no 13th floor in this hotel either. Continuing to attempt emulating the ETL diet, My Dear Wife ordered the Jumbo Lump Crab Cakes, billed as 6 ounces crab cakes with heirloom tomato, avocado salad with homemade horseradish, and I ordered the Stuffed Sweet Peppers, billed as garbanzo beans, spinach, mushrooms, rice, tomatoes, Vermont cheddar, and a chunky tomato sauce for $16.00. 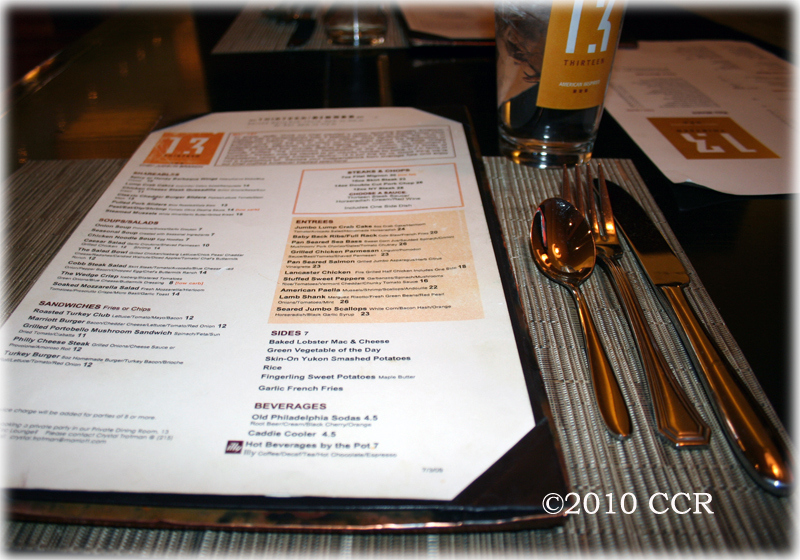 Both dishes were wonderfully prepared and we both being delighted and surprised at the culinary skill exhibited from the hotel restaurant, it made for capping off a great first day in Philly. During the night there was a lot of noise and commotion in the hallway, there was a statewide high school mock trail being held in the hotel and the place was crawling with teenagers, we were up most of the night, until I entered the hallway and yelled, “People are trying to sleep over here!” and it was back to sleep after that interruption. Check back later for more brotherly love! You’re making me want to go to Philly stat! 1 of 4 visits to Beck’s? LOL! My home, my heart, my Philadelphia. Thanks for the article. WAIT A MINUTE MISTER!! YOU WERE HERE AND YOU DIDN’T TELL ME?!?!? Boo, hiss! Next time you’re in the area, give me a holler!! oh man I want that Train Wreck Po Boy! that looks good! wow, you were in my home town of philadelphia and I was where your heart is, new orleans. My husband and I just got back from another wonderful week there. we also just booked another one for voodoofest! We will be going home to philly and atlantic city in august. while we were in nola we were lucky enough to participate in the new orleans wine and food experience. we met aron sanchez, paula deen and john besh. it was such a thrill! of course the main topic of conversation was the devastating oil spill and its consequences. @Emily, so sorry, I had no idea you hailed from Philly! Not sure when we could have fit you in the itinerary though. I even turned town a meeting with a railroad diner author because he was at the Amtrak station for National Train Day, btw, railroads is my other hobby! @Sandy, you should go back next year for JazzFest. Bon temps roule!!! what a great trip, sounds like you got to spend a good bit of time looking around – fun and I am looking in hearing of some more……..now I’m just disappointed you didn’t get to bump into Emily…. I want one of everything! Hope you stuffed yourself!!!!!! 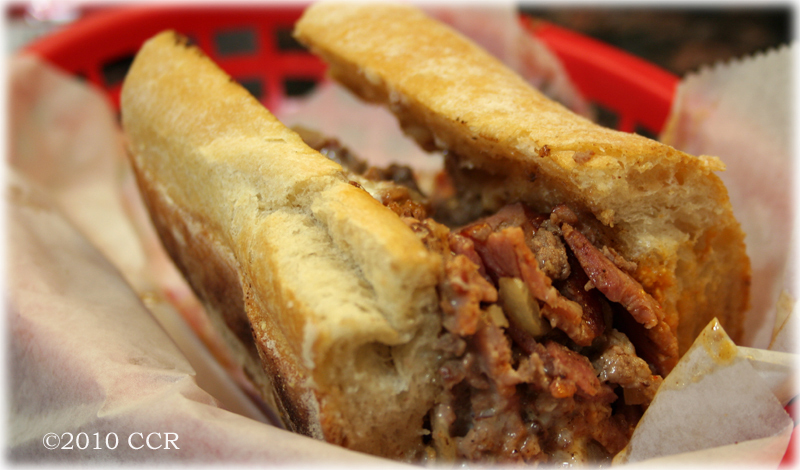 looks like you had a great time in Philly….there are so many wonderful spots to eat, I am still discovering new ones!! You did a great job on your coverage of the reading terminal! Great tour! And so much seafood.. love! 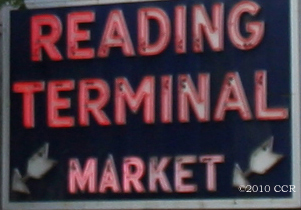 Reading Terminal looks like I place I would like. I am craving Dutch Apple Dumplings, now. But I have to ask, did you eat any Philly Cheese-steaks while you were there? I visited some locals once and they said you either eat at Geno’s or Pat’s. 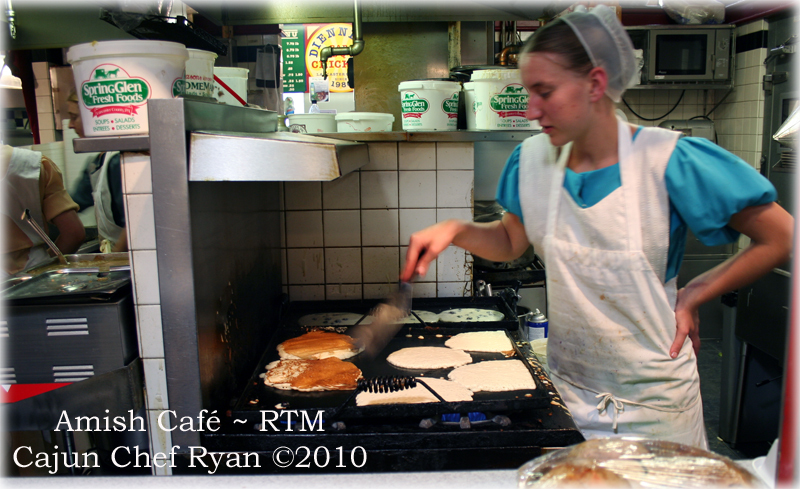 They took me to Geno’s–the line was around the block!